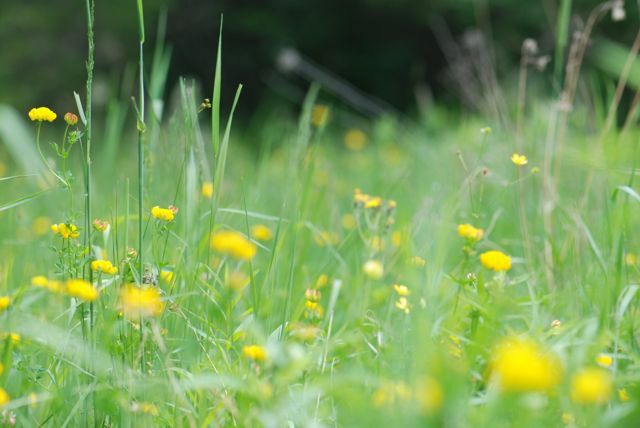 Let's spend some time in this lovely meadow. Butterflies are flitting from flower to flower. It is enjoyable to watch them at work. 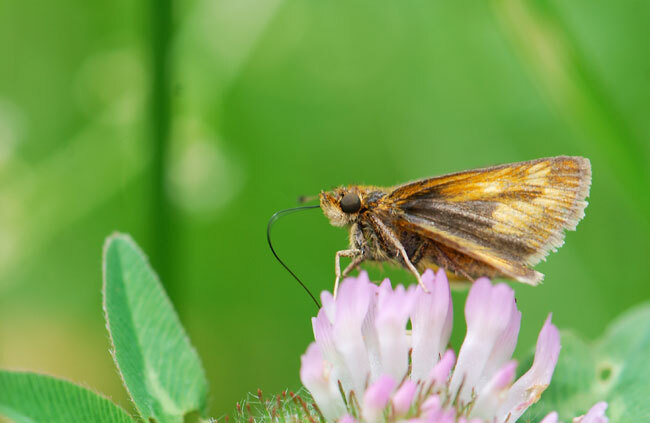 Can you see the long tongue (proboscis) of this skipper moth probing the clover flower? Look how orange this wood nymph's antennae are. You can't help but notice the eye spots on the wings. This one has a bit missing from its hind wing that is shaped like a bird beak. Maybe the bird was fooled by the eye spots, which allowed the butterfly to get away. Another wood nymph, which also survived. It can be a dangerous world for butterflies in the meadow. Don't forget, National Moth Week starts on Saturday July 23, 2016. Instead of our usual Bug of the Week, today let's learn a bit about how to identify butterflies. Quick, do you know what kind of butterfly this is? Does it really matter? If you want to have an active and successful butterfly garden, then it pays to know your local butterflies. 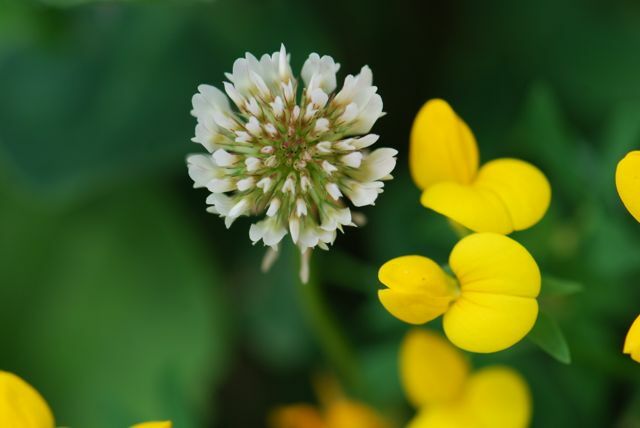 That way you can tailor the plants in your garden to their particular needs. Butterfly identification may seem intimidating, but there are some tricks to make it manageable. First, arm all your family members with cameras. A photograph can be very handy to help you study the identification details at your leisure. 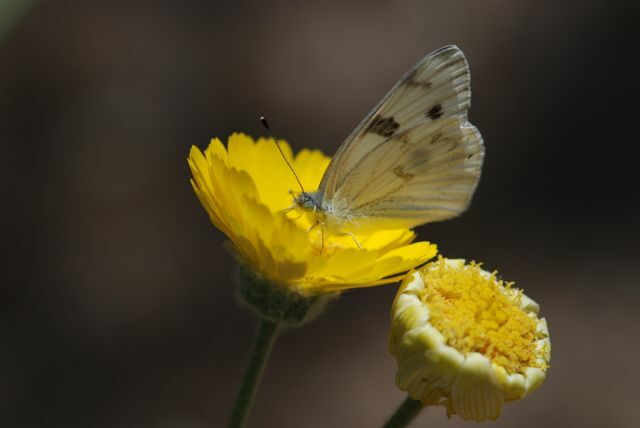 Second, learn the characteristics of the groups of butterflies called families. Once you have mastered those, a trip to the identification guide or website is much more successful. 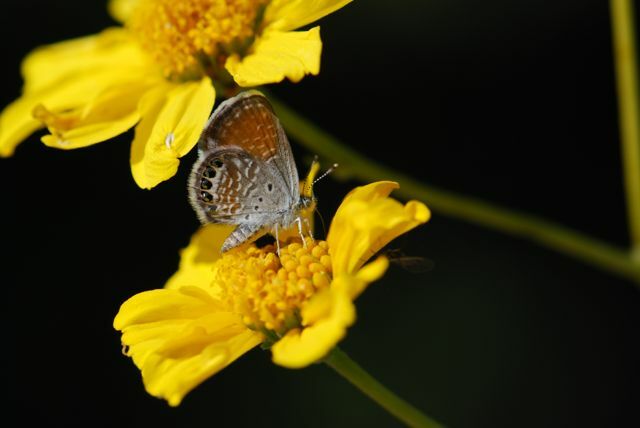 By the way, that butterfly in the photograph is a western pygmy blue, a member of the blue family. Before we get started, if you are not familiar with what insect parts are called, check out our post with information about caterpillar and butterfly anatomy. 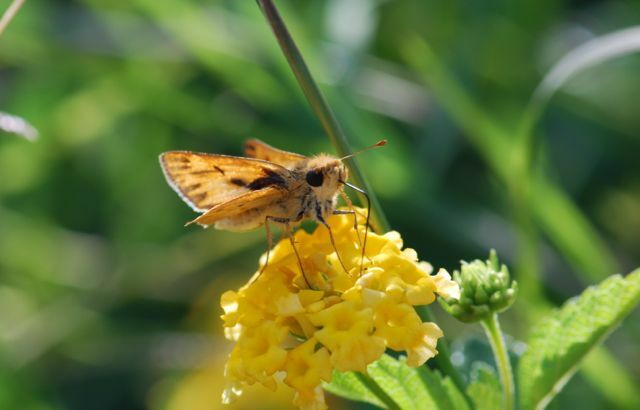 Next, if you are not sure the insect you have is a butterfly or moth, brush up on the differences between butterflies and moths at our website. 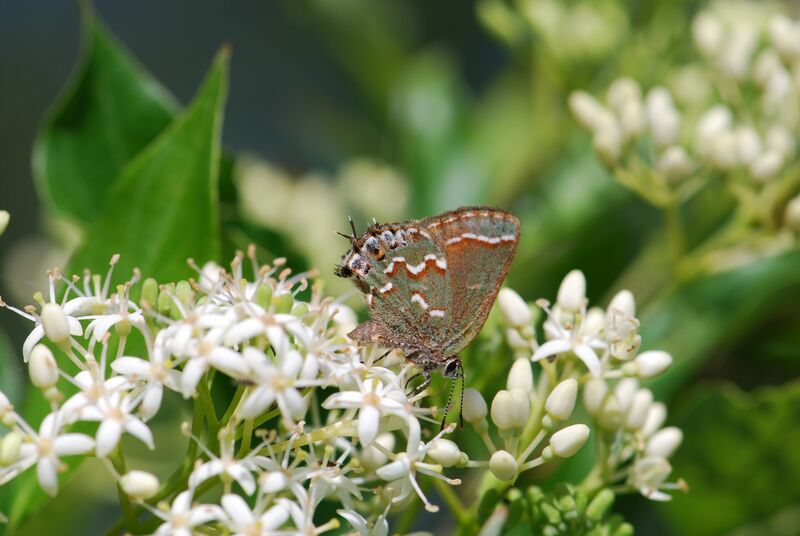 Entomologists group butterflies with similar characteristics into families. You don't need to memorize the scientific names (unless you want to do so). I added them so you can add them to your search terms when looking for species. 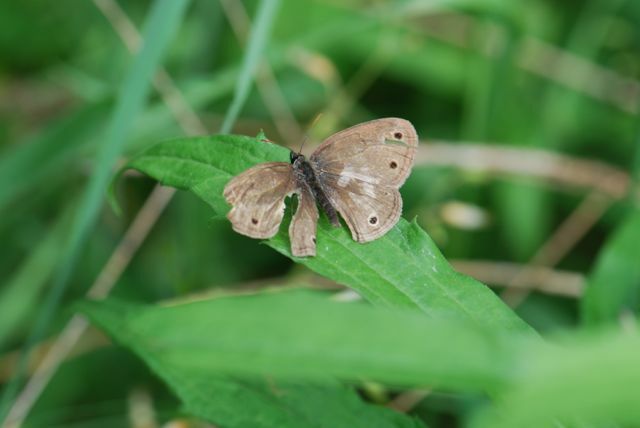 Characteristics: Skippers are butterflies that most resemble moths. Two differences are that they tend to hold their wings at a 45° angle (rather that flat out or folded back) and their slender antennae often end in a hook. You can see the angled wings very well in this photograph. 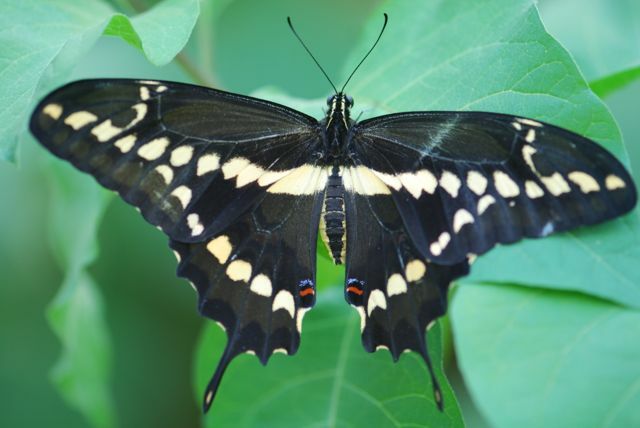 Characteristics: Swallowtails are known for their bold, contrasting color patterns and the presence of extensions or "tails" on their hind wings. The giant swallowtail has the characteristic look of the family Papilionidae. Characteristics: Most are white, light yellow, or orange, and have simple, rounded wings. They are medium-sized and have normal front legs. 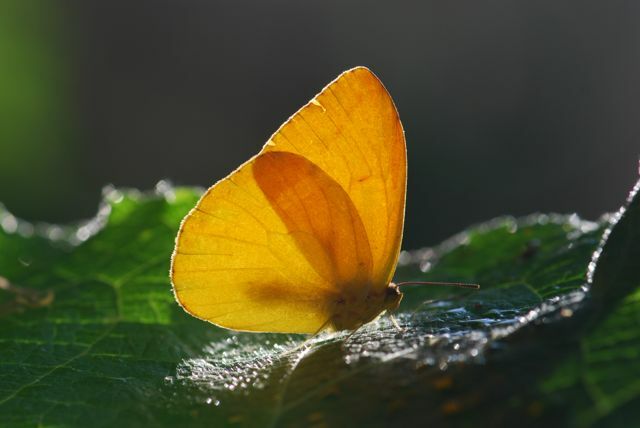 A sulphur butterfly's wings are simply elegant. Characteristics: The members of this family are delicate, very small butterflies. The blues often have blue upper wings, whereas the coppers are brown. 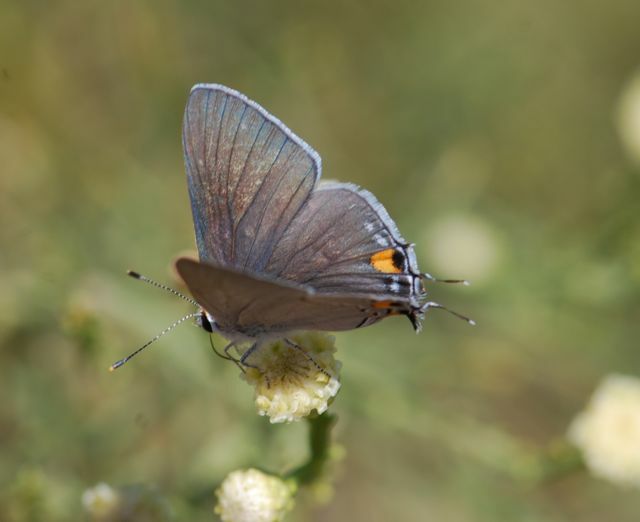 Hairstreaks have tiny tails on their hind wings. Can you see the tiny tails on the hind wings? How about on this one? Some people think the tails resemble antennae, thus confusing predators about which end is the head. Characteristics: Snout butterflies are named for their long, hairy mouthparts that project forward from their head like a snout. See how the mouthparts extend way out past the eyes in this snout butterfly? Compare to where the eyes are in the other butterflies in this post. Characteristics: Often brightly colored, with wings that are longer than they are wide. 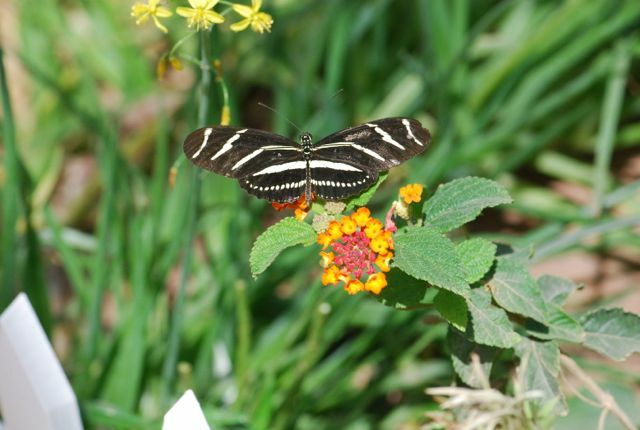 The wings of this zebra butterfly show the distinctive shape characteristic of the family. Characteristics: This family is large and its members vary a lot in color, size and shape. 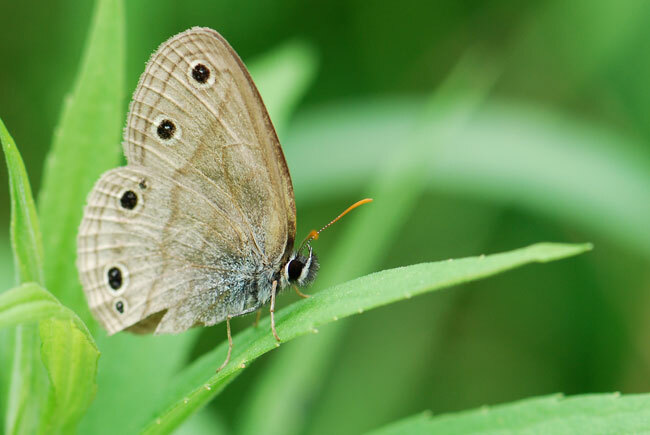 The brush-footed butterflies have reduced (short) forelegs, but it isn't an easy trait to see. 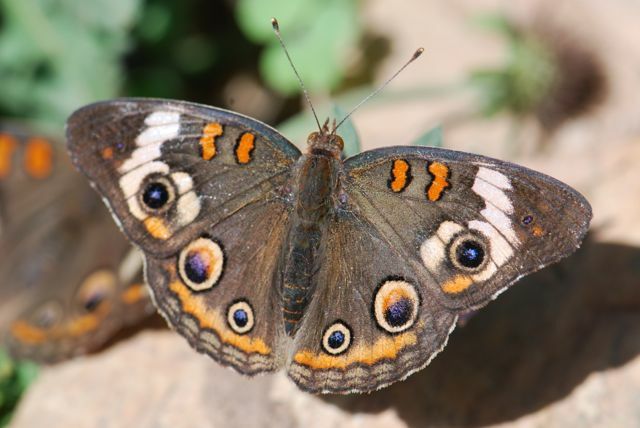 The buckeye butterfly in the Butterfly Gardening Week button is a brush-footed butterfly. 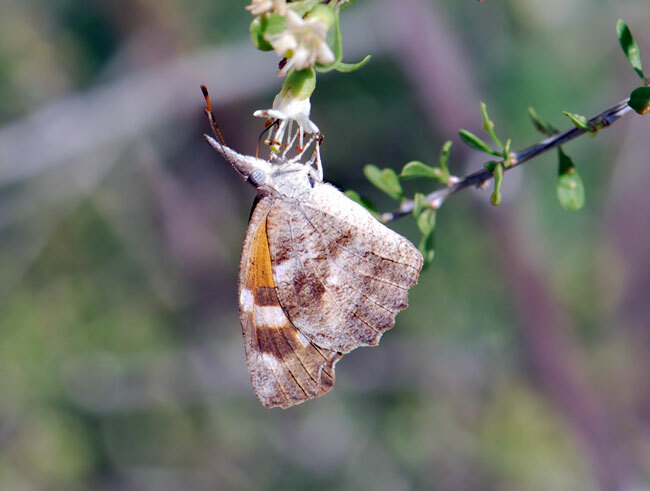 Characteristics: These large brown or orange butterflies are sometimes grouped with the brush-footed butterflies. Their larvae feed on milkweeds. Queen and monarch butterflies belong to this family. Now let's put your new skills to the test. 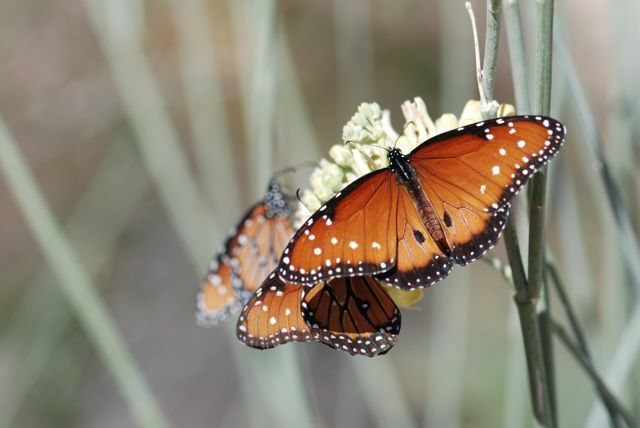 What families do these butterflies belong to? 1. 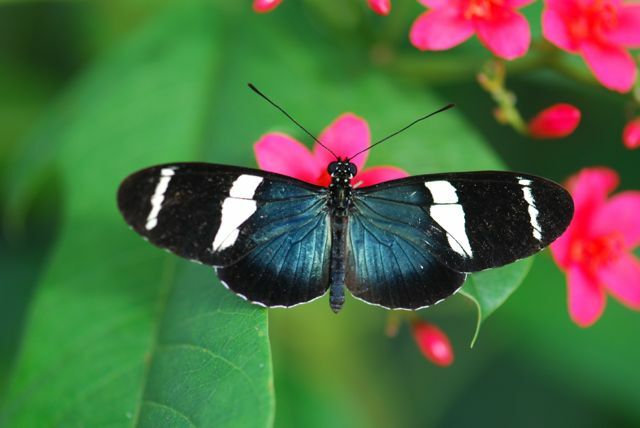 What family does this black, white and blue butterfly belong to? 2. 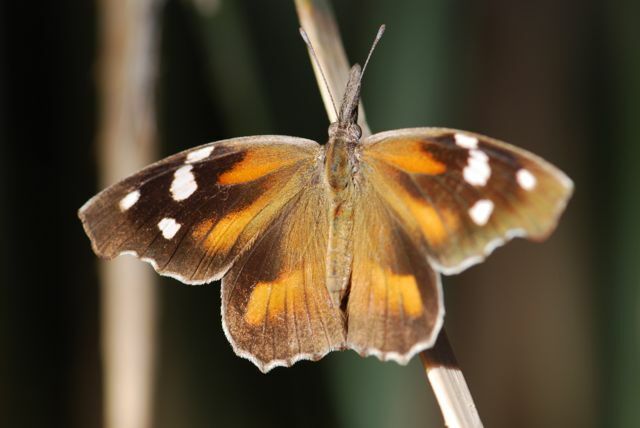 This brown, orange and white butterfly has one unique characteristic found in no other families. What is it? 3. What family does this butterfly belong? As I've mentioned previously, keeping a nature journal or photographic record of your findings is a great idea. Tied with that, drawing or coloring butterfly illustrations helps with recognition and observation skills. Look for free, printable butterfly pages that show realistic butterflies and make some creative art projects. Be sure to take note of the important features of each kind of butterfly. Butterfly World has downloadable (.pdf or Word) coloring books that feature the exotic butterflies found in their exhibit. Disclosure: I am an affiliate for Amazon. If you click through the linked titles or ads and make a purchase, I will receive a small commission at no extra charge to you. Proceeds will be used to maintain this self-hosted blog. Running with Scissors has an absolutely adorable butterfly metamorphosis smock to make for little ones. 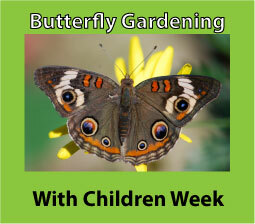 Be sure to keep up with all the posts relating to butterfly gardening with children at our links page. 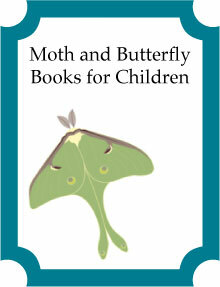 If you are looking for great children's books about butterflies and moths, try our list at Science Books for Kids.